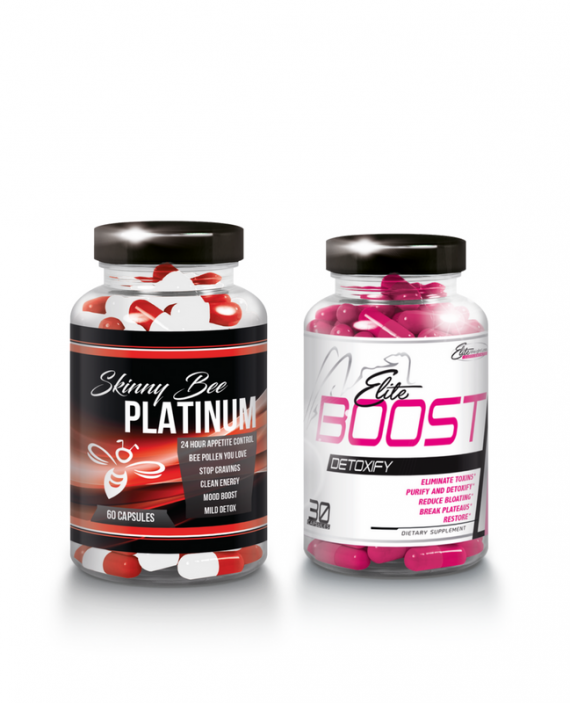 Skinny Elite WEIGHT LOSS provides focus, memory, clarity, while improving cardiovascular health, cell health, and clearing skin. 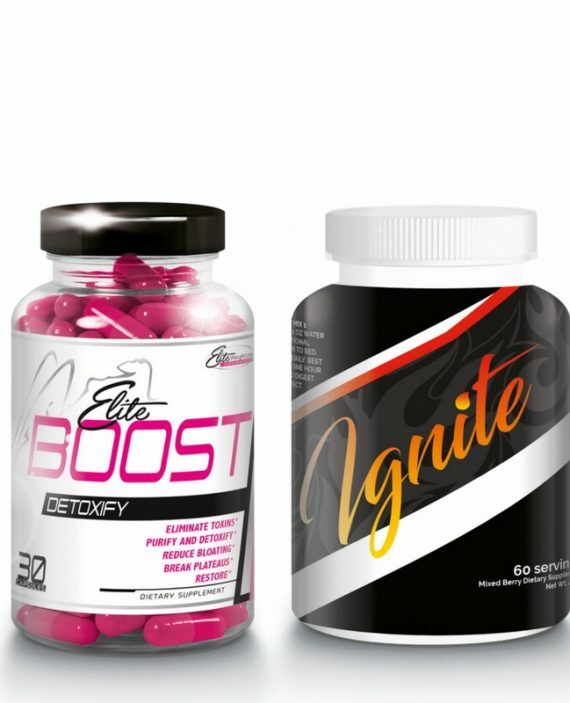 Skinny Elite WEIGHT LOSS provides mild natural cleanse that rids your system of the toxic sludge that weighs you down and hinders weight loss. 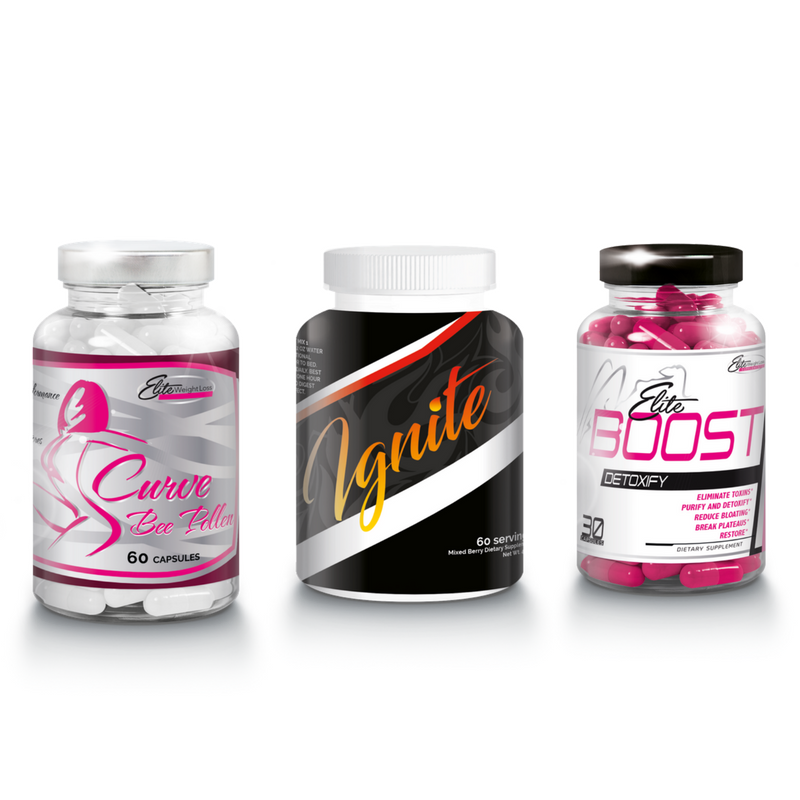 Skinny Elite WEIGHT LOSS also has a 3 part fired up, fat burning lipolytic-blend that will naturally ramp up fat burning for maximum weight loss. You can expect to see results within 12 to 24 hours in terms of helping rid the intestinal tract of excess waste, reduced bloating, and increased energy. Elite Boost may be used for 15 days, every 6-8 weeks. Included in the formula are effective natural laxatives, fiber, and herbs which help soothe the intestinal lining; Acidophilus to help promote healthy bacteria levels in the intestinal tract, all while our proprietary blend goes to work to help reduce inflammation, irritation, indigestion. 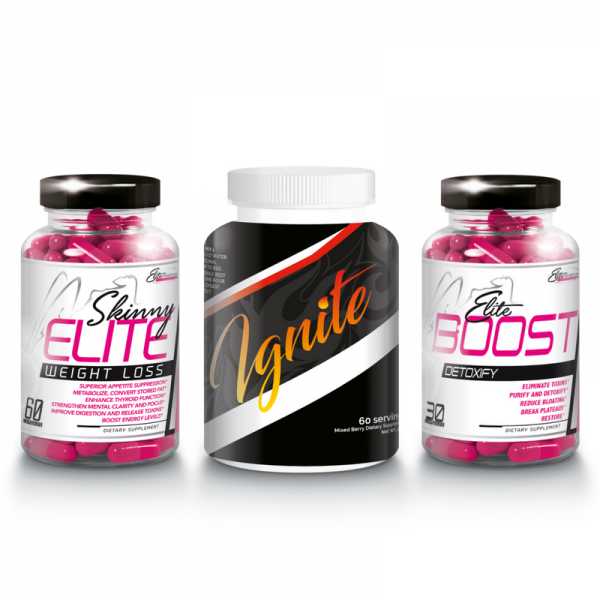 Ignite Non Stim formula converts your fat into energy. 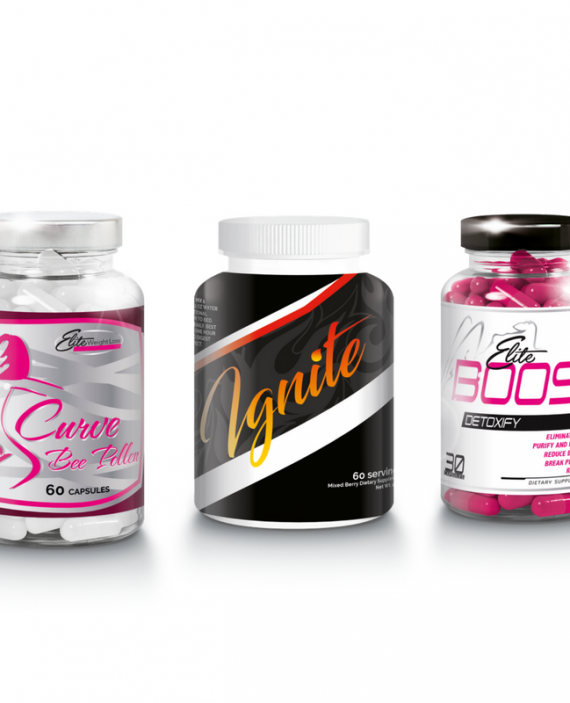 This safe and effective fat burner has multiple uses. 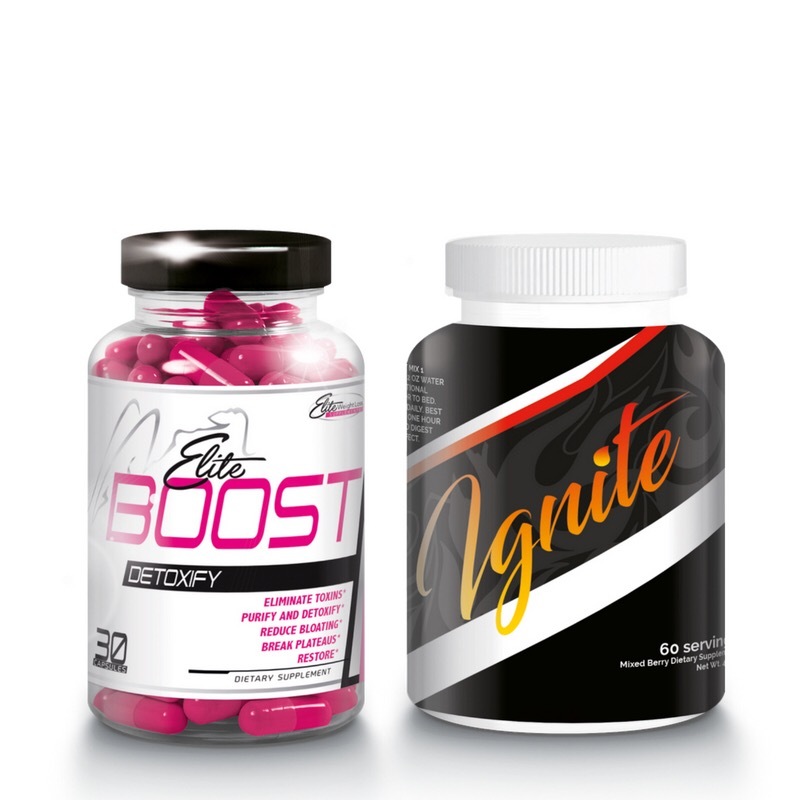 It can be a stand alone fat burner or be paired with another product as a fat burning booster! CALCIUM PYRUVATE, GARCINIA CAMBOGIA STANDARDIZED TO 60% HYDROZCITRIC ACID, ACHRANTHES ASPERA, L-CARNITINE-L-TARTRATE, CHROMIUM PICOLINATE. NATURAL AND ARTIFICIAL FLAVORING, SILICA, MALTODEXTRIN, MALTIC ACID, CITRIC ACID, SUCRALOSE, ACESULFAME, POTASSION, STEVIA.